baby&plus Rotatable Sponge Bottle and Pacifier Brush provides ease of use and comfort! It reaches to every point of the bottle and easily removes the residues accumulated in the bottles and teats. 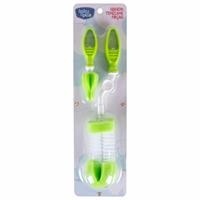 Thanks to its long brush and 360 swivel ability, it helps you to clean your bottle. 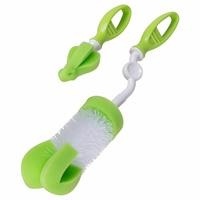 The short cleaning sponge makes it easier to clean the teats and does not deform the teat by its softness. baby&plus is an ebebek brand.